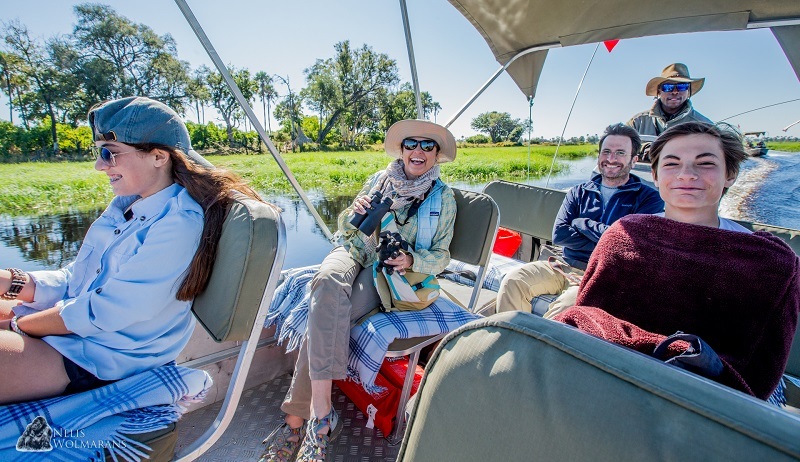 It was the end of June and our amazing 10-day, wildlife safari expertly put together by safari experts, DM Africa, kicked off with a two night stay at the Royal Livingstone in Zambia. 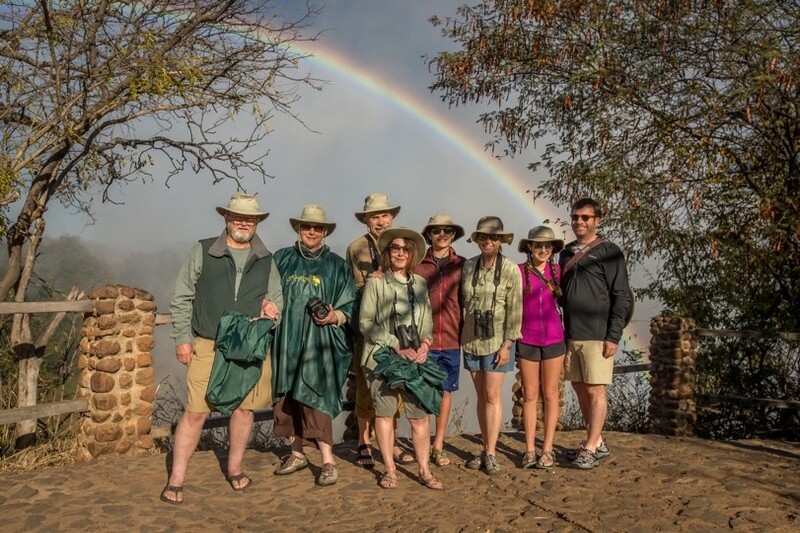 This offered us the perfect relaxed start to our safari itinerary and everyone was able to get over their jetlag and ready for the next leg of the safari, which entailed plenty of early morning activities. 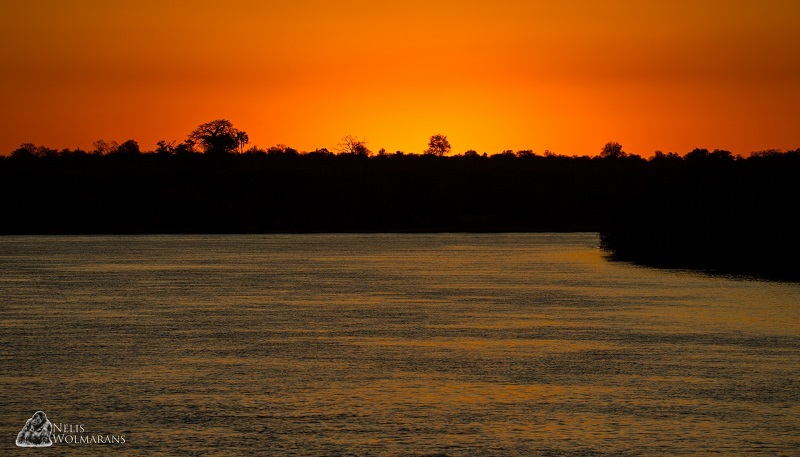 The Victoria Falls offers a magnitude of activities to partake in and our first afternoon excursion took us on a sunset cruise on the mighty Zambezi River. Having sole use of the Captain’s deck, we were treated to spectacular views of the wildlife feeding along the bank of the river. Our cruise ended with a magnificent sunset reflecting over the water. Day two of our safari started off with a guided tour of the Falls. A thundering sound rises from the depths as the waters of the mighty Zambezi plummet into the gorge, more than a hundred meters below. Mosi-ao-Tunya, the smoke that thunders! What started of as a leisurely stroll in beautiful morning sunlight turned into a torrential downpour caused by the spray of the thundering falls. Two layers of waterproof ponchos offered little protection from the spray rising up off the bottom of the gorge. Soaked to the bone, we made our way back to the starting point of the walk where we found comfort in the warm rays of the sun. A short amble through the curio market gave us enough time for our clothes to dry. Hereafter we left the falls and onto our next adventure, a helicopter flip over the gorge and the Mosi-ao-Tunya National Park. This is a must do activity for all who visit this UNESCO World Heritage site. From high above the falls, one is treated to a bird’s eye view of the magnificent falls. Victoria Falls is considered to be the larges Falls in the world, based on its combined width of 1708-meter-wide gorge and its 108 meter drop into the gorge below, creating the largest curtain of falling water. 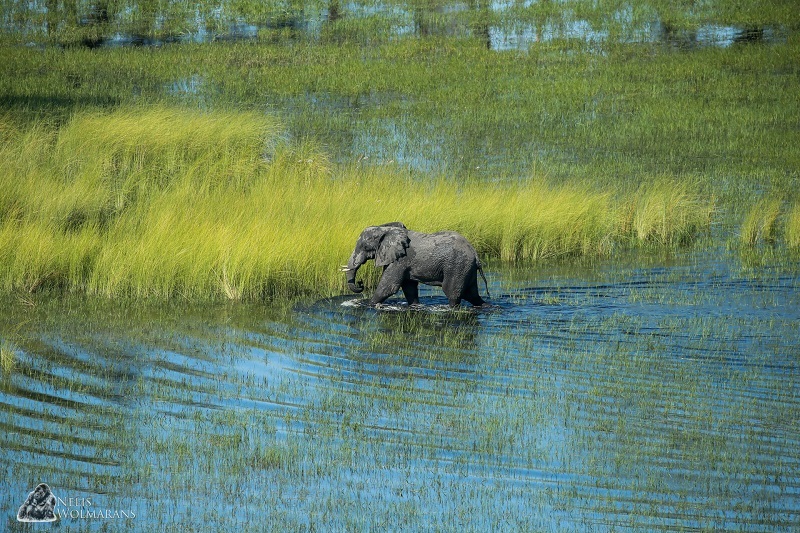 The next stop on our journey took us into Botswana’s 5000 km2 Savute in the Chobe National Park. Here we touched down about a half an hour’s drive from our beautiful accommodation for the next two nights, the Belmond Savute Elephant Lodge. 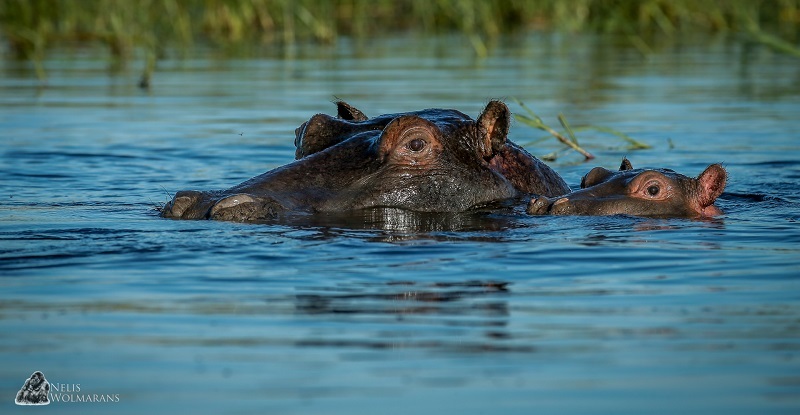 A waterhole in front of the lodge attracts a large diversity and number of wildlife to the lodge, offering a very acceptable game viewing experience from the comfort of your poolside lounger. 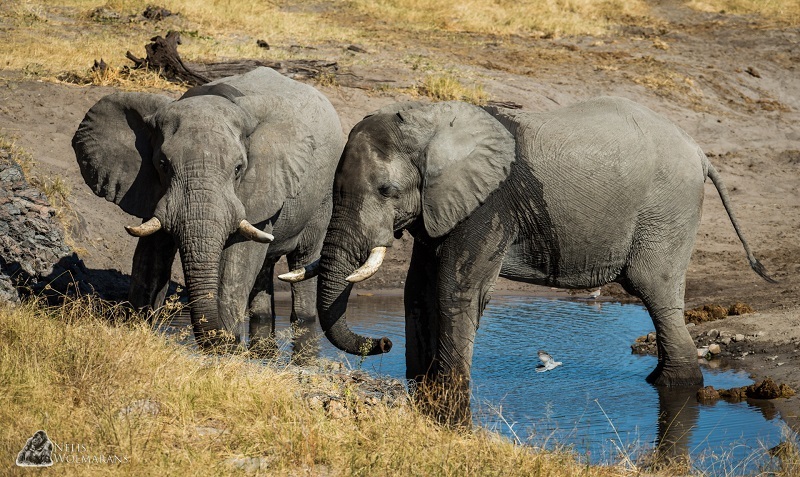 The waterhole is frequented by large numbers of elephant, especially during the drier times of the year. 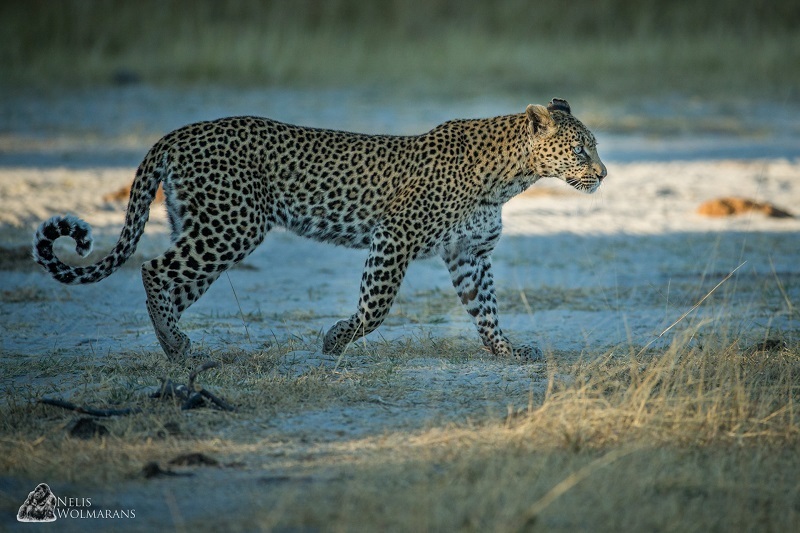 The overall game viewing experience of the area was superb, with a large lion population, relaxed leopard sightings and of course the very sought after African Wild Dog population, which we were very fortunate to catch up with on one one of our morning excursions. Our very first afternoon drive in this new location brought about a magnificent sighting of a very relaxed pride of lions. 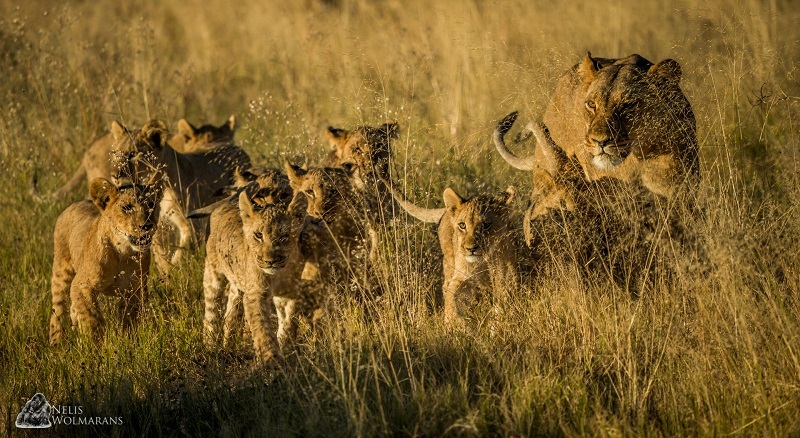 The adult males were absent and we were left with a surprisingly large number of small cubs accompanied by the three adult females of the pride. Undeterred by our presence and that of the safari vehicle, we were treated to the antics of the playful cubs. The sunsets in this part of Africa are always a sight to behold. We were very fortunate to have both of our sunsets photobombed, firstly by giraffe and then a huge herd of buffalo on the second afternoon. I loved the early mornings at Savute Elephant Lodge, watching the game move to and from the waterhole whilst sipping on a warm cup of coffee in camp. 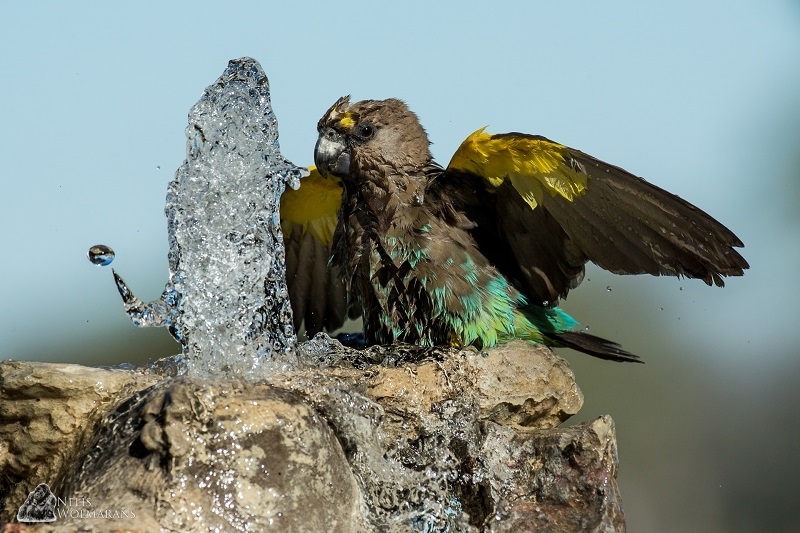 The water feature at the lodge attracted a large number of bird species, especially Meyer’s Parrots who would not only enjoy the clean water to drink, but also to bathe in. Following our last morning safari in Savute, we boarded our chartered flight into Kwai for another two night stay at the beautifully located Belmond Kwai River Lodge. Overlooking the Kwai River, the viewing deck in front of the lodge offered superb views of the animal activities on the water’s edge. This area is a photographer’s paradise offering almost uninterrupted photo opportunities. Seldom will you drive more than 5 minutes without having the opportunity to photograph something truly amazing. 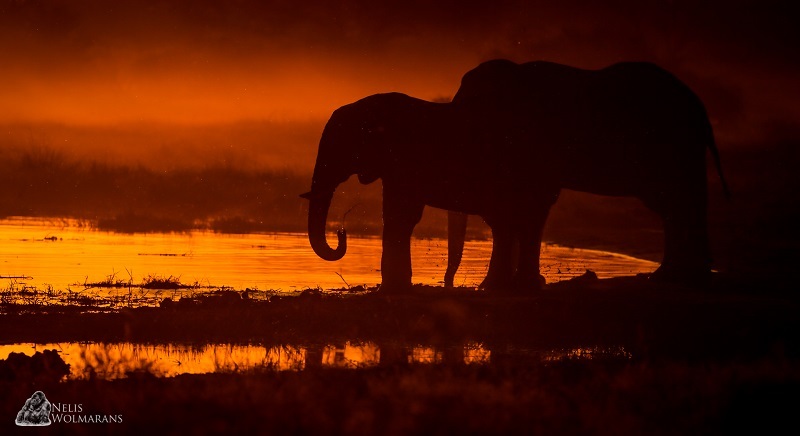 Our game drives here in the Kwai included some incredible sightings, leopard in the open, lions feeding on a small buffalo calf and of course, the elephants drinking at sunset. The later part of our morning drive brought about a sighting of two male lions feeding on a young buffalo, which they had caught earlier that morning. We arrived to find both males lying out in the open under a very hot late morning sun. As time progressed and the heat became more intense, the males split up, seeking shade. 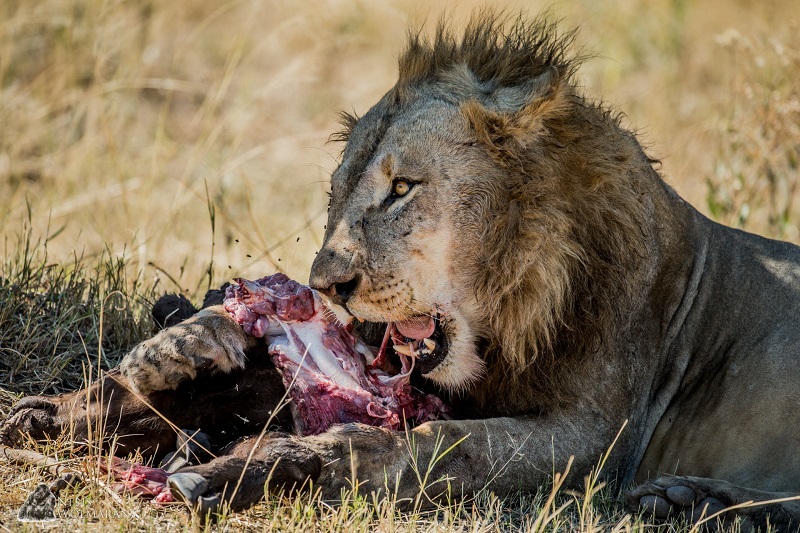 The more dominant of the two males secured the left overs of the carcass all to himself. We had a fun afternoon drive, crossing some of the deeper channels whilst making our way back to the same area hoping to catch another glimpse of the boys, but they had left the area. 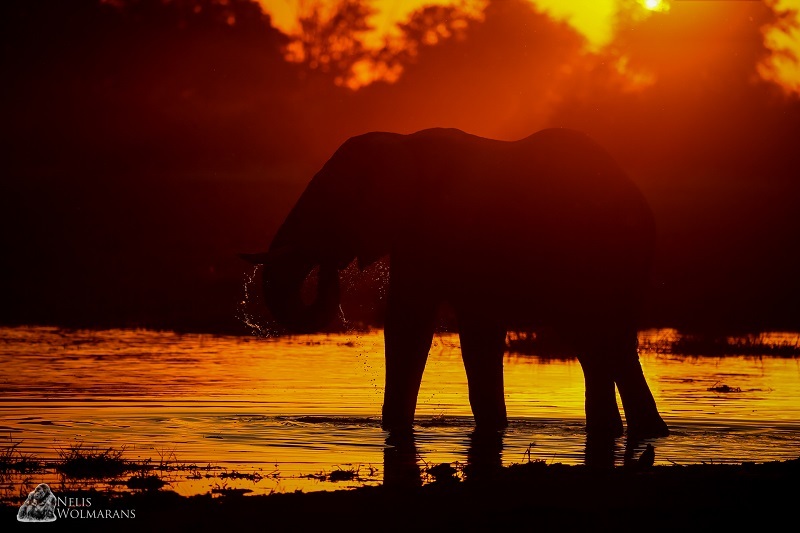 Instead, we were treated to a spectacular sunset with an elephant coming down to the water for an afternoon drink. 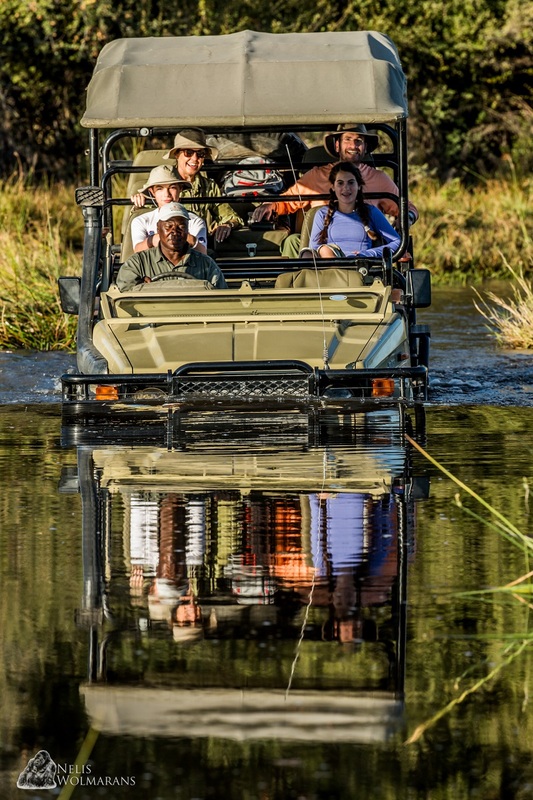 The perfect way to end an afternoon safari. 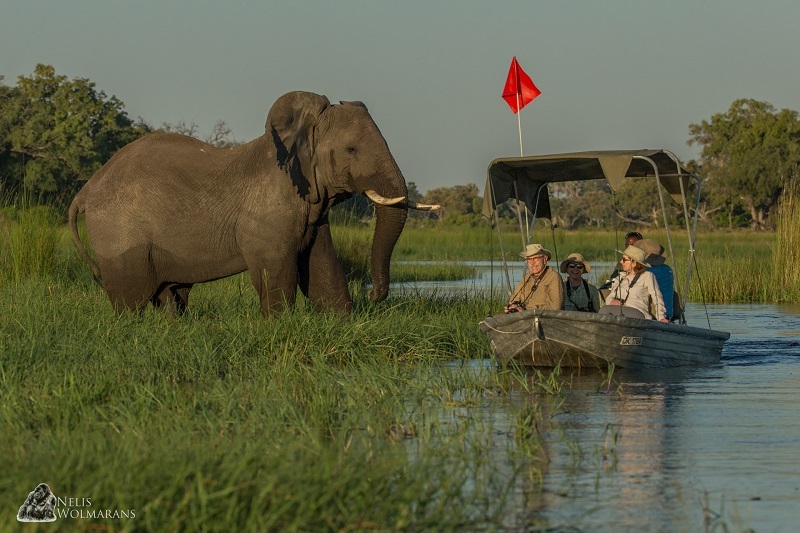 The final stop on our safari itinerary was at the newly renovated Belmond Eagle Island Lodge, located on a private island in the heart of the world famous Okavango Delta. Our chartered flight landed right at the entrance to the lodge. The lodge is perfectly located and all of its guest rooms offer unobscured views out over the water. With the water level on the higher side, our activities were limited to the small yet agile pontoon boats and of course the very thrilling helicopter flips over the Delta. Our first afternoon activity was by boat and took us along the narrow watercourses that circumnavigate the island and its surrounds. 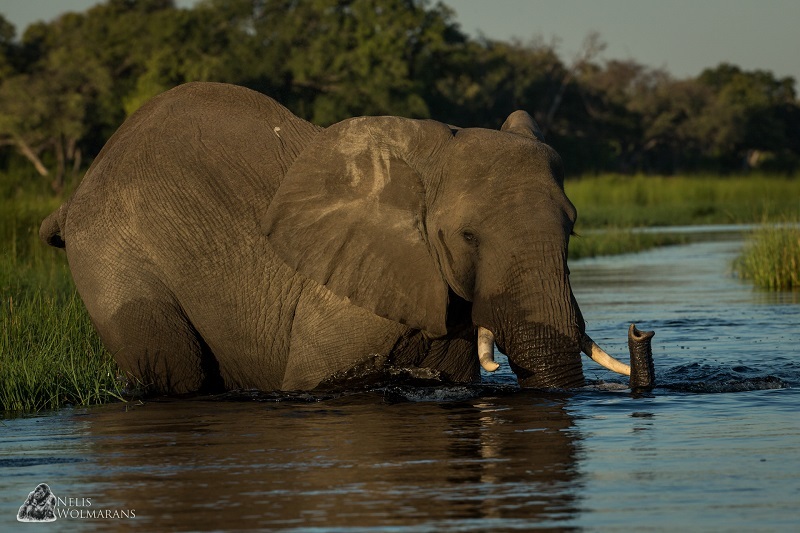 Elephants lined the banks of the water, feeding on the abundant food source and every so often we would come into close contact with these giants. On one occasion we startled one of the elephant when we came around the corner. 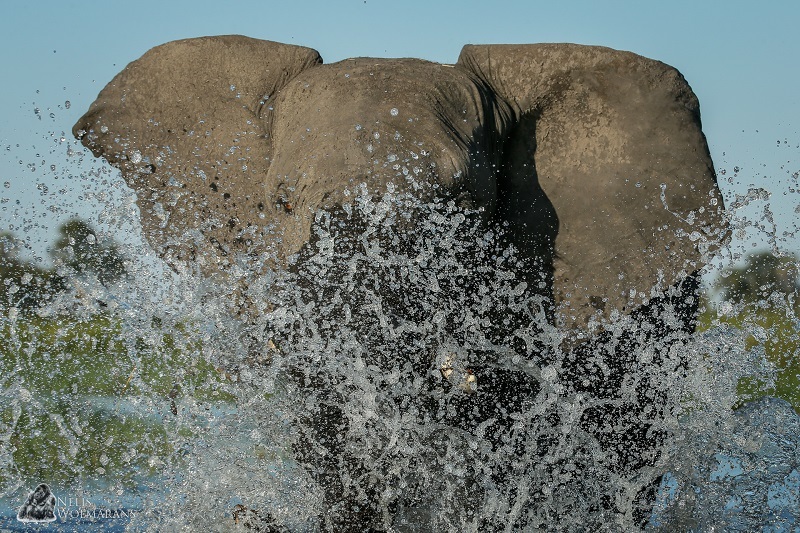 One would imagine that the elephant had heard us coming, but his reaction stated otherwise. I am not sure who were more surprised though, us or the elephant. 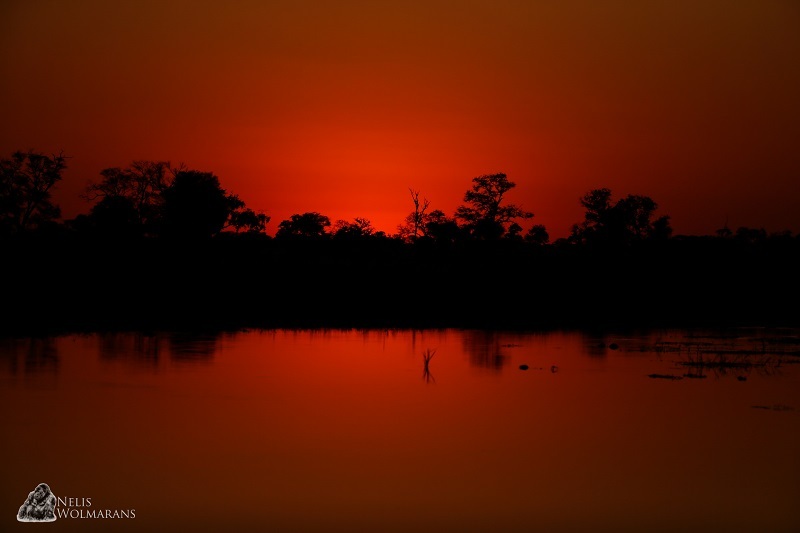 Upon returning to the lodge, everyone gathered at the Fish Eagle Bar for a refreshing sundowner drink and we watched the sun set over the horizon. The following morning, we were treated to more spectacular sightings of the wildlife that inhabit this water wonderland. 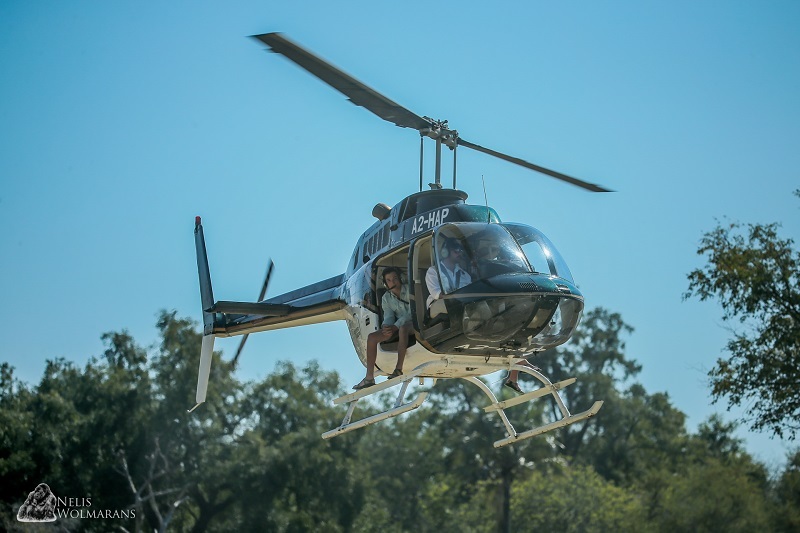 One of the biggest treats when conducting wildlife safaris in Africa, is the opportunity to do a helicopter flight over Africa’s spectacular wilderness areas and one of the prime locations in which to do this is undoubtedly, Botswana’s Okavango Delta. With the doors of the helicopter removed and us all safely strapped in, we took to the sky. 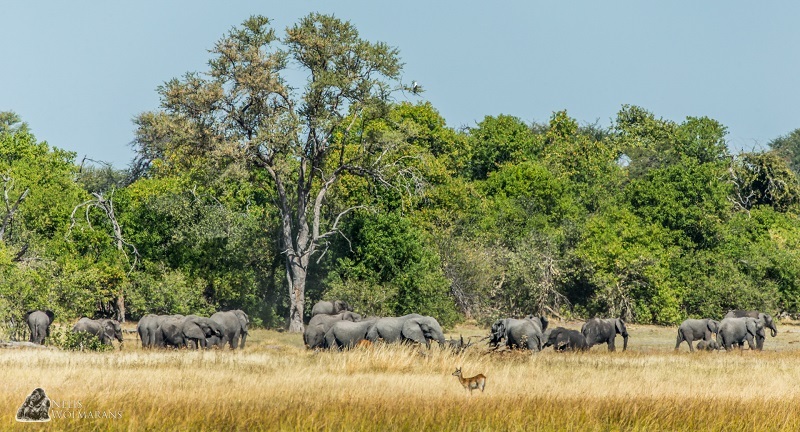 Undeterred by the sound of the helicopter, the animals were relaxed and we were treated to phenomenal sightings of the wildlife below as they went about their daily activities. 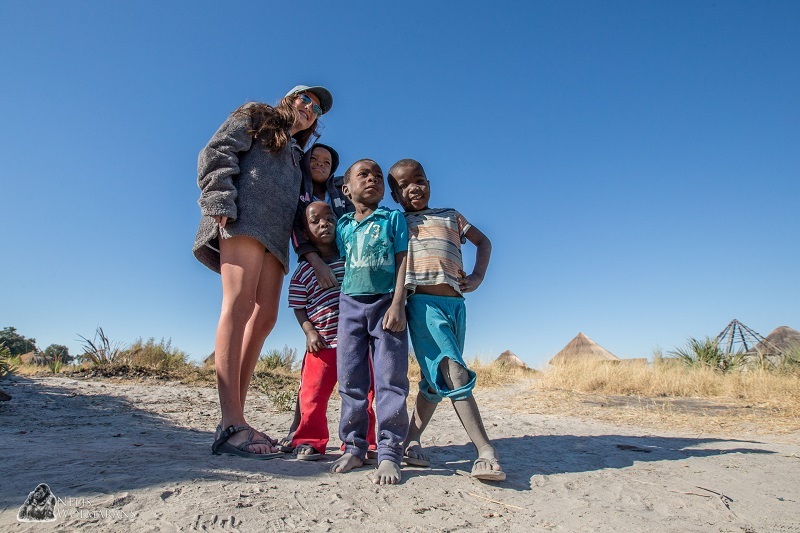 On our final day, we combined our morning activity with a visit to one of the nearby villages which is supported by the Belmond Eagle Island Lodge. 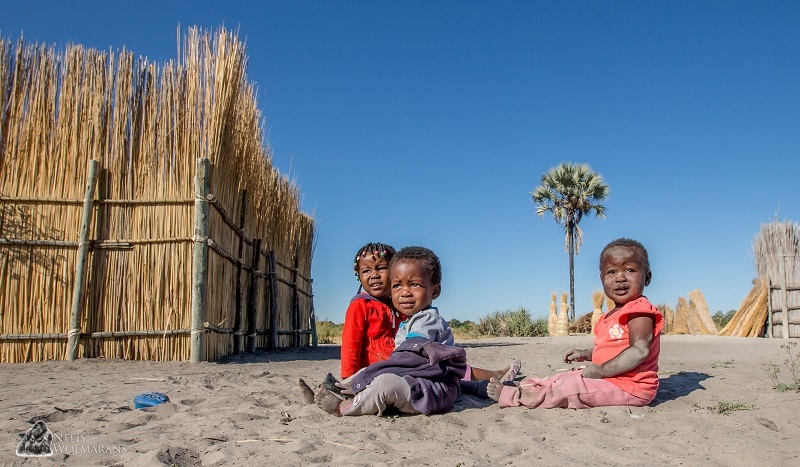 It is always great to see companies take the initiative to not only employ from the local communities, but also provide much need assistance and support to these often secluded communities. 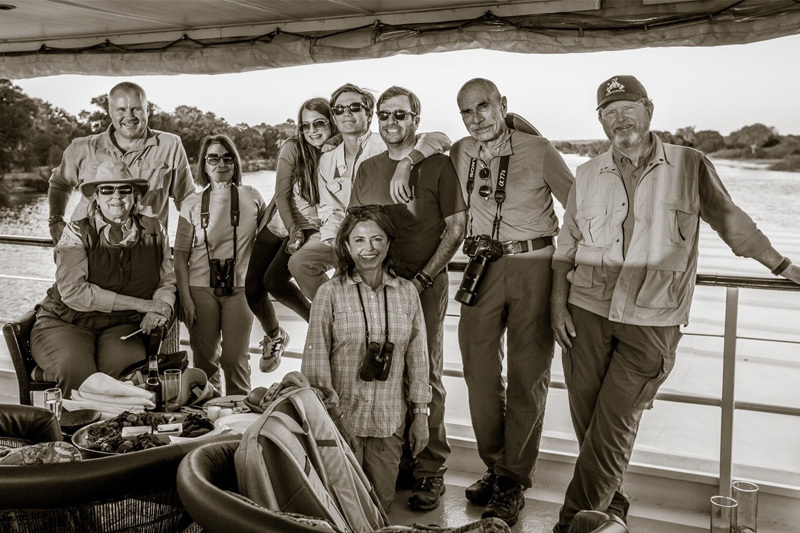 The saddest part of a safari is the day of departure, especially when you were as fortunate as I was to have shared these experiences with a truly amazing group of people. 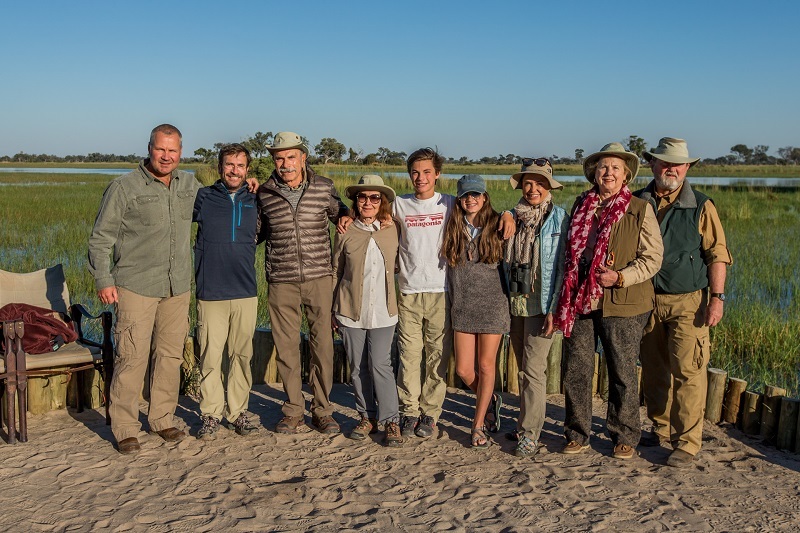 A most memorable safari experience shared with an incredible family!